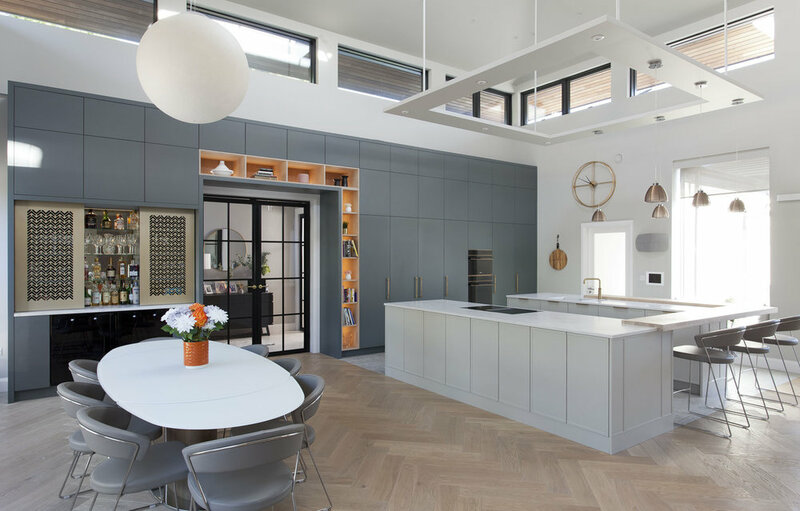 From our Modern Collection this stunning kitchen was designed to maximise storage and take advantage of the extra high ceilings. 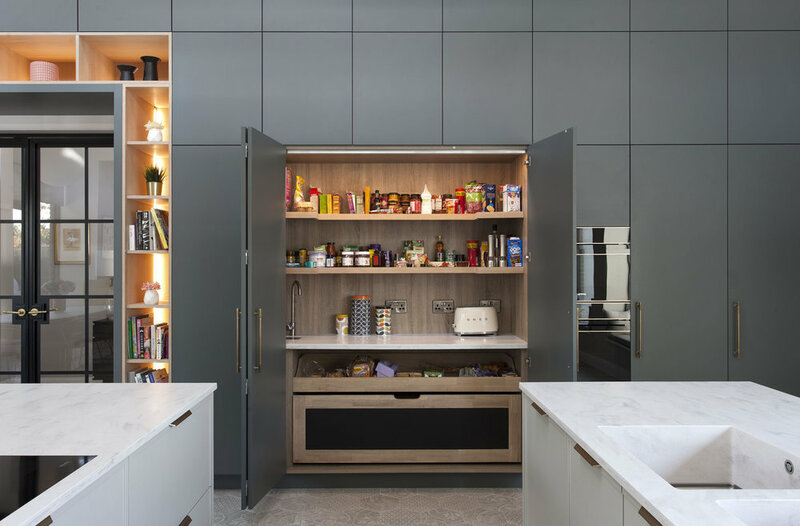 There are a number of stand-out features which pull the entire space together such as the brass doors on the drinks cabinet, open book storage around the crittall doors and suspended frame for lighting. 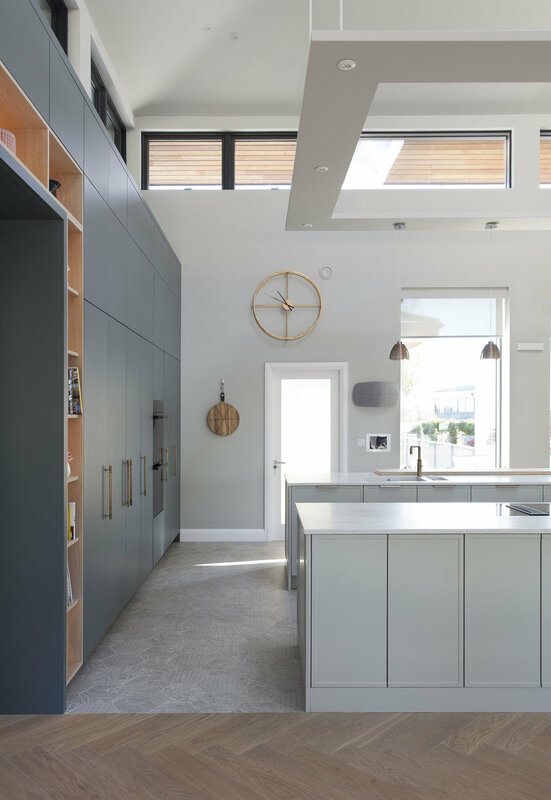 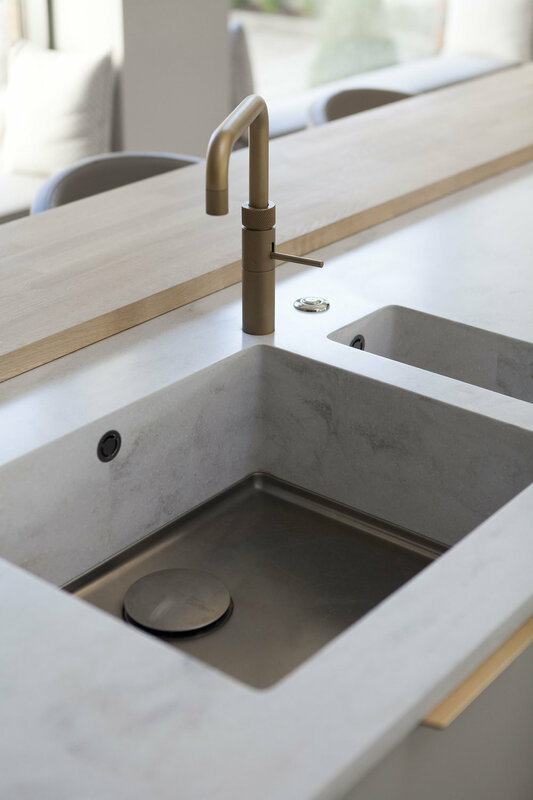 The two island sections are connected by a large block of solid oak which sits on top of the Corian worktops by Obre fabrications.